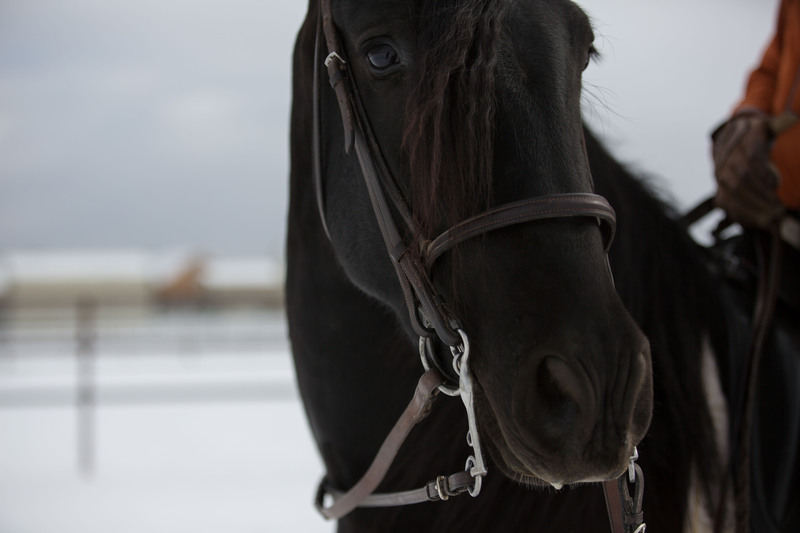 Imported Black Andalusian Stallion. 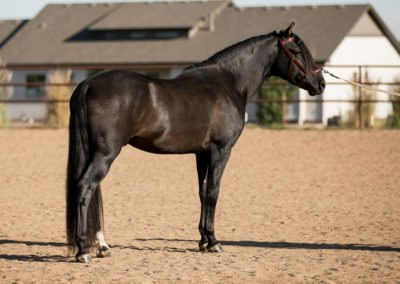 This black beauty is sure to catch the eye of any judge or breeder. His stunning looks and flashy movement will take him wherever you want him to go; the show ring or an addition to your breeding program. Indigo has a temperament to die for. You would never know he was a stallion. This well behaved young stallion can work in the arena with other horses and stand tied next to a mare without a sound. He is a sweetheart and loves the attention of anyone walking through the barn. 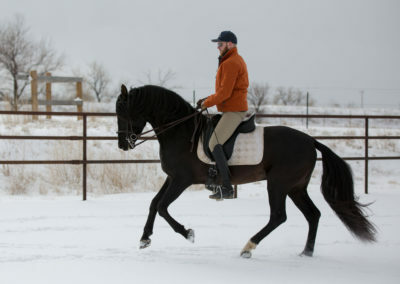 He is currently training under saddle and is progressing each month. 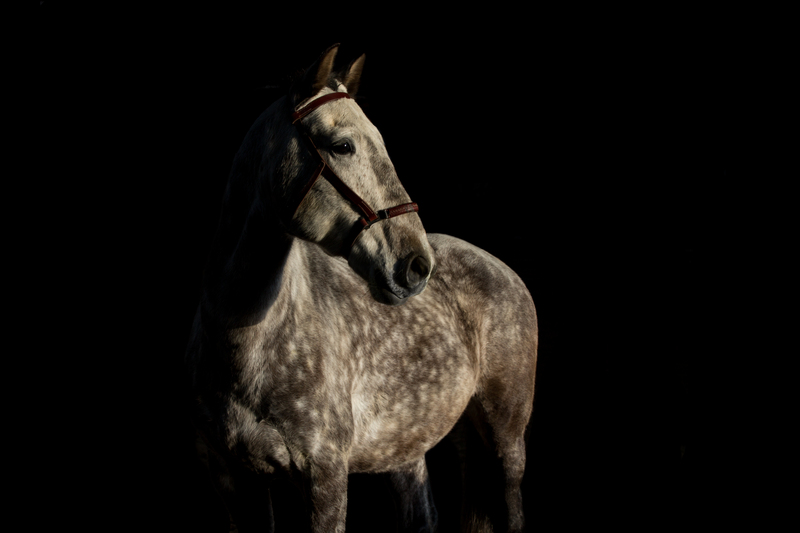 Zadiba is a sensible horse that has the talent for Pre Saint George or upper-level Working Equitation. 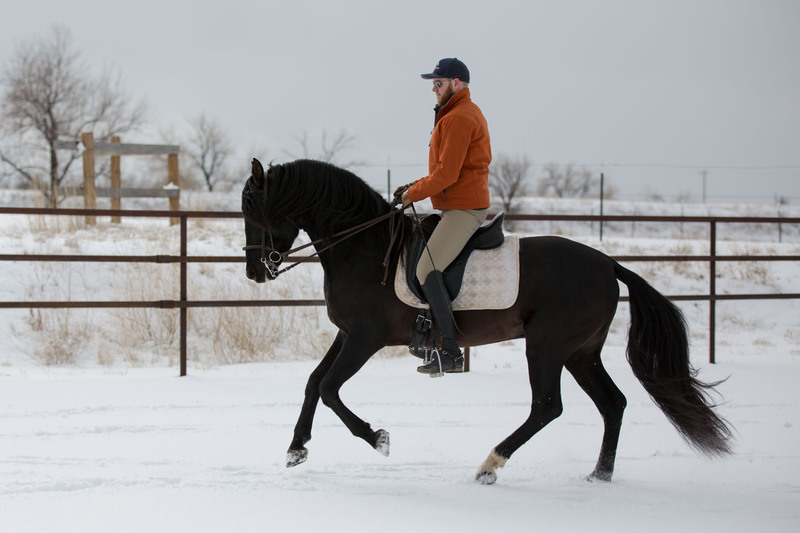 His canter is very smooth and will be even better with more collection. Zadiba has shown signs that lead changes will come with ease for him. 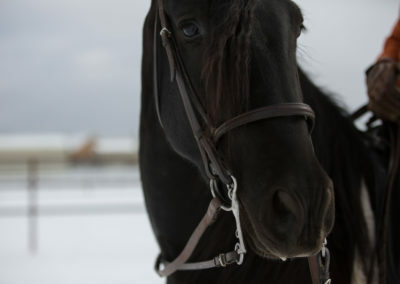 He is able to float his trot with ease and over tracks in his walk. He has a calm temperament and does not get hot when working. He is a perfect horse for an armature looking for a mount to move through the levels with.